It is important to make a smooth transition from your own words to those of another source. Never simply drop a quotation into a paragraph. A quotation can never stand in a sentence by itself without an introduction. Incorrect: T.S. Eliot, in his “Talent and the Individual,” uses gender-specific language. “No poet, no artist of any art, has his complete meaning alone. His significance, his appreciation is the appreciation of his relation to the dead poets and artists” (Eliot 29). In this example, the reader is not prepared for the quote and will become confused as a result. Correct: T.S. Eliot, in his “Talent and the Individual,” uses gender-specific language. He argues, for instance, that “no poet, no artist of any art, has his complete meaning alone. His significance, his appreciation is the appreciation of his relation to the dead poets and artists” (Eliot 29). The above example will be easier for the reader to understand as you are making it clear that the quotation is coming from that specific source. It may not always be necessary to use an entire passage to prove your point. To use only a phrase you must weave the quote into your own sentence. Correct: I find it striking that though “women novelists have probably dominated American literature since the middle of the nineteenth century,” our literary tradition is still incredibly gender specific (Schweickart 201). In some cases one can avoid direct quotation by paraphrasing the quote–that is, by restating what the author says in one’s own words (not looking at the quote when you are paraphrasing may help with this). To avoid plagiarism, you must be sure to (a) use your own words whenever you don’t use quotation marks or block a quote and (b) cite your sources, especially if the ideas or information you are paraphrasing are not common knowledge, are specific to that author, or include specific numbers or other very specific information. When in doubt, cite the source. Always cite the source of the paraphrased material. Just because it is in your own words does not make it your intellectual property. To not cite would be plagiarism. Correct:: The author points out that women have had a strong voice in literature since the middle of the nineteenth century. As a result, it is striking that our literary tradition is still so gender specific (Schweickart 209). After Peer Review (and if you survive it), Look over your work. If you do not understand someone’s comments ask for clarification. If a reviewer only leaves vague or short comments, ask for elaboration. 2. Does the paper have a clear exigence and purpose? Identify the exigence with a squiggly line. Comment on how effective the writers are in explaining whether the work they are analyzing is important or interesting and/or the importance of analyzing this piece of work. Do you agree with them? 4. Does the author make appropriate references to particular moments in the text or film(quotations, paraphrases, etc.)? Are there enough (or too many) references to both back up the thesis and allow a reader to follow the argument being made? 5. Does the paper quote directly from the source when needed? Are the quotes integrated well into the essay? Are quotes and paraphrases cited properly? Do the writers quote other material besides the one being analyzed? 6. Does the project read like an analysis rather than a review? I.e., does show a clear attention to the structure and technique of the piece rather than simply summarizing it and explaining its strengths and weaknesses? 7. What is the strongest part of the paper (most interesting, most powerfully argued, etc.)? 8. What is the weakest part of the paper (or the part that needs to be improved, further developed or extended)? 9. What grade would you give the paper if it was a final draft? “There is no learning without a learner. And there is no meaning without a meaning maker. In order to survive in a world of rapid change there is nothing more worth knowing, for any of us, than the continuing process of how to make viable meanings” (Postman and Weingartner, 11). Take 10-12 minutes to freewrite. Think of a time when you had to make a decision or learn something new. How did you do it? Who helped you? What did you know about the topic beforehand? How did you gather new information? How did you determine what information was worth learning or knowing? On a separate sheet, with your name on it, write down a topic you would like to know more about. Also write a question or two (or three) that you have about that topic. Use the journalist’s questions: Who, What, Where, When, Why, How. You may also wish to consult Postman and Weingartner. On your classmates paper, write down your reaction to their topic and/or questions. This may be further questions you may have, suggestions on how to find answers, and/or comments. Also take note of the name of any classmates that suggest a topic similar to yours or that you may be interested in collaborating on. Write: Final draft of Project Two including personal reflection posted to SafeAssign via Blackboard by 11:59 pm Wednesday, 10/1/14. Multimedia presentation to be finalized before class on Thursday, 10/2/14. Place it or a link to it on your blog. Thesis – Project Two is largely driven by its thesis. Having a strong thesis statement (such as one that uses the “skeletal structure” we’ve covered in class) will make it easier for you as a writer to keep your argument organized and for your readers to follow your argument’s structure. Any variation of this formula will work. Building Blocks for Support Paragraphs: TED revisited. You need basically three items in each support paragraph. Here’s one from the film reviewers analysis from The Wayne Writer: “Both authors discuss the plot, but write about it differently” (303). 2. You need sentences that provide examples of the technique under review in the paragraph. Effective use of quotations from, or paraphrases of, the text being analyzed will be valuable in this section. 3. Finally, you need to relate the examples back to the thesis of the text being analyzed. Doing so reminds the reader of the central argument of the text and how the technique you’re covering in this paragraph is, as you have stated, important to the forwarding of this argument. These types of sentences can conclude your paragraph or the can be woven into the paragraph. Geist felt that the movie was “a constantly surprising comedy which chronicles the thirty-year relationship of a mother and daughter and their wayward men.” He uses difficult vocabulary intended for the well-educated reader. For example, Geist writes, “Alone and fearful of reaching fifty, Aurora surrenders to her bibulous and lecherous neighbor, Garret, a former astronaut, whom she had previously disdained as uncouth.” When discussing the story, Geist gave away too much to the reader. He stated that Emma became infected with cancer and eventually died. When Schickel explained the same part in the story, he did not completely give the story away. Instead of saying that Emma has cancer he refers to it as “Emma’s illness.” He never states that she dies. All of these “concluding” sentences illustrate the different writing styles of the two film reviewers as stated in the essay writer’s thesis. They may also work to show how the example described in the sentence that preceded it were effective and/or how it forwards the central argument of the work being analyzed. How effectively does the first (“topic”) sentence of the paragraph set up the rest of the paragraph? Are appropriate/effective examples drawn from the text? Do these examples fit into one of the categories/techniques identifed in the thesis? Does the paragraph as a whole fit together cohesively? 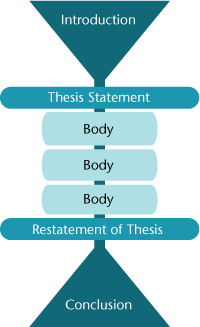 Revisit your thesis in some manner. DO NOT CUT AND PASTE it from your introduction. Show how your analysis prove (or disprove) how rhetorical elements of the work produce the effects you claim. Use this analysis checklist to make sure you have all the essential elements. Homework: Write analysis essay. Create multimedia project. Bring two printed copies of your analysis (without personal reflection) to class on Tuesday for peer review. Essay to be uploaded to SafeAssign via Blackboard by 11:59 pm on Wednesday 10/1/14. Presentation to be finalized before class on Thursday, 10/2/14. Place it or a link to it on your blog. Your personal reflection on the act of creating the presentation and working with a partner(s). The presentation needs to be multimedia and delivered to the class. It should last 5-10 minutes. Ideally, your analysis should be delivered orally (you can use the written analysis as a script) enhanced and accompanied by multimedia. How are you going to work on it? In other words, you’ve already been exposed to a variety of genre and samples of discourse. Your first task, tonight, is to find a partner or two with whom you wish to work and compare your genre analysis notes about the samples of discourse you brought with you. Whatever you decide to write on, keep your analysis grounded in the rhetorical situation. Thesis statements for rhetorical analyses are a bit tricky. The central argument of the piece you are analyzing is its thesis. Your thesis, however, will be an argument about how that that thesis is made and supported. Handout on an analysis of Comic images. “Analysis” and “Analyzing Media” from the “Introduction” to . pp. li-lxv. Responses to Gee. What is a primary Discourse? A secondary Discourse? How relevant are they to your college writing experiences? How are participants expected to behave and interact with each other? What mode and style of communication is used? 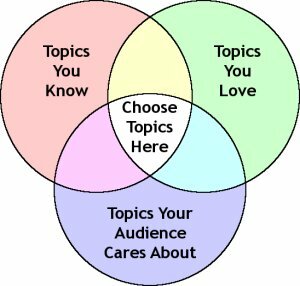 What specific topics are of interest? Today we’re going to look at personal blogs as one genre that is used in certain discourse communities to communicate individuals’ ideas about topics. In particular, in preparation for Project One, we are going to look at the about me or about pages on these blogs to see what they look like (what textual features they have) and what they are meant to do (what the social function is). Thinking about how the design of the text connects to the purpose of the text will help you think about how you want to put Project One together, but also about how genre, purpose, audience, writer, and context all work together as part of the rhetorical situation. -What does the text look like? -What impact does that design have on the purpose and audience? The features we catalogue in these pages may be things you’ll want to incorporate into your own about me pages in Project One. Using this list, or Google, find a blog related to your major, career path, or personal interest. Read a post or two to get a feel for the blog and blogger(s). Post the URL of your chosen blog on your wordpress site. Begin drafting your “About Me” page. How well these objectives were met (or not).